On June 23, President Michael Roth ’78 will participate in a debate titled, “Trigger Warning: Safe Spaces Are Dangerous,” presented by Intelligence Squared U.S. in partnership with the John Templeton Foundation. Roth will argue against the motion “Trigger Warning: Safe Spaces Are Dangerous,” along with his debate partner, Ashutosh Bhagwat, law professor at UC Davis. Arguing for the motion will be PEN America CEO Suzanne Nossel and Vanderbilt law professor and First Amendment expert David Hudson. Bios for all the debaters can be found here. Intelligence Squared is a nonpartisan, nonprofit organization founded in 2006 to address a fundamental problem in America: the extreme polarization of our nation and our politics. Their mission is to restore critical thinking, facts, reason, and civility to American public discourse. The award-winning debate series reaches over 30 million American households through multi-platform distribution, including radio, television, livestreaming, podcasts, interactive digital content, and on-demand apps on Roku and Apple TV. With over 150 debates and counting, Intelligence Squared U.S. has encouraged the public to “think twice” on a wide range of provocative topics. 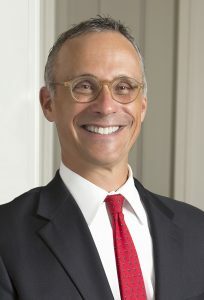 Author and ABC News correspondent John Donvan has moderated IQ2US since 2008.